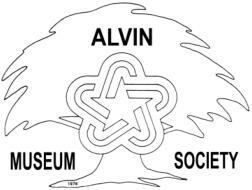 The Alvin Museum Society annouces the opening of two new, temporary exhibits. They are "Shells: Treasures from the Sea," at the Alvin Historical Museum and "Dolls on Parade" at the Marguerite Rogers House Museum. Both museums are open from 11 a.m. - 3 p.m. on Thursdays, Fridays, and the first Saturday of each month.